This entry was posted on June 8, 2017 by Jessica Anderson. Are you searching for an epic gift for a special dad? Forget the boring tie and personalize something special from Trophies2Go! All of our engraved trophies, awards and gifts include expert etching in the price. Below are some of our most popular gifts for dads. The perfect gift for a Dad who loves to grill! Barbecue Gifts: Does your dad like to grill? 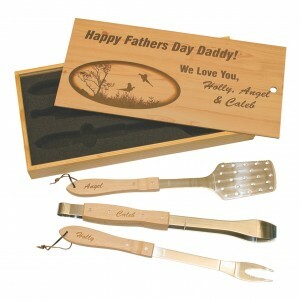 Get him his own personalized BBQ tool set, with a special message engraved on the box and the tools. We also have fun aprons, engraved cutting boards, and awesome BBQ trophies for your favorite griller. License Plate Frame: Tell the world how awesome your dad is with a Personalized License Plate Frame! We offer two choices that can be customized especially for your dad. Framed Artwork: A sweet, meaningful gift is a framed hand print or piece of artwork created especially for Dad. Add a small plate to the bottom of the frame with an engraved message. It will give the artwork the 'wow' factor that makes it look like it belongs in an art gallery! Check out all of the framing options at my favorite frame store, Aaron Brothers. Golf Gifts: Many dads are golfers and want to brag about a hole in one or an epic golf round. Cherish the memory with a special golf gift! We offer many hole-in-one trophies. Or store a dozen of dad's favorite Titleist golf balls in a keepsake box with a special photo. 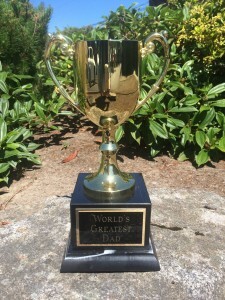 Let your dad know he's #1 with a 'World's Greatest DAD" trophy! World's Best DAD Trophy: If your dad is #1, let him know with his own trophy. We have a large selection of cup trophies in all price ranges that any dad would love to display at his office or in his man-cave! 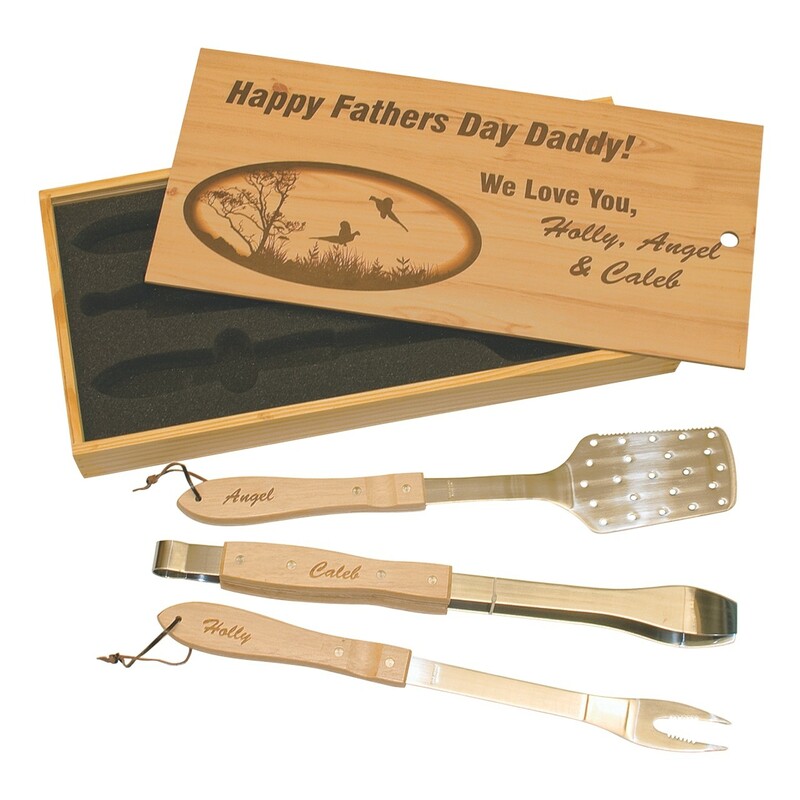 Check out our Father's Day Gifts Pinterest page for other ideas for cute and fun gifts for Dad. Happy Father's Day to all the terrific dads out there! A special shout out to the three dads here at Trophies2Go - Mike, Paul, and Tom. Wishing you a wonderful day! *Editor's note: This post was originally published on June 9, 2015. It was updated for content.